Hyundai is a big name in the world of automobiles. It launched many energetic cars which changed the perspective of people regarding cars and automobiles. I10 is one of its models which were launched in 2007 by this giant manufacturer of South Korea; although its second version was presented in 2013 and was launched in 2014. In India it is produced in Chennai plant of Hyundai. This car has capacity for 5 passenger including driver and has a petrol fuel tank. It is easily affordable for a middle class man. As it was said above that a common man can easily afford it, the maintenance is also affordable. 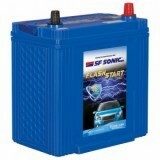 At everyonechoice.com you can get Hyundai I10 1.1 Petrol battery easily and that too at cheap rate as compared to others. You can get free home delivery as well as cash on delivery and we will provide an engineer who will fix it up in your car and will give you brief description about battery and its usage. You can even choose the EMI option if you are unable to pay the full amount. 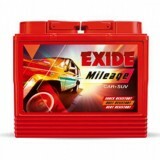 Note: We provide cheapest Hyundai I10 1.1 Petrol Car Battery Price in Delhi, India. 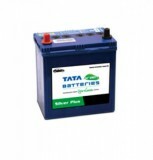 Buy the Hyundai I10 1.1 Petrol Car Battery Online.